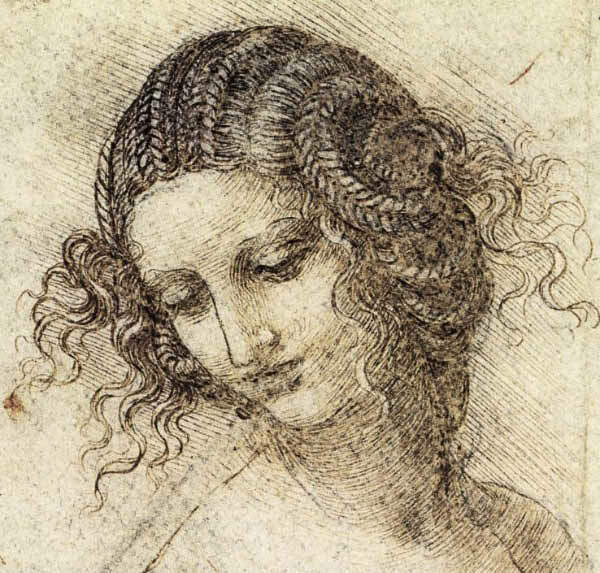 From Leonardo da Vinci to the Brothers Grimm our fascination with hair has endured in art and science. We love it for its “body” or “volume”, the fluffiness and elasticity that comes from its random waves and curls. But apart from a purely tactile response, can we take a more quantitative approach to hair, to explain these macroscopic properties in terms of the behaviour of individual hairs? We know that the important physics governing hair involves the interplay of its elasticity, weight, and curliness, but it is only recently that these have been synthesized into a mathematical theory. This talk will cover the mathematics involved, focusing on the important historical developments of elasticity theory due to Euler and Bernoulli and the determination of energy-minimizing shapes through the calculus of variations. Excerpt: In the Notebooks of Leonard da Vinci we find a discussion “On the proportions and on the movements of the human figure”. Accompanying this is a drawing of the patterns of turbulent water flowing past the supports of a bridge, and Leonardo notes: “Observe the motion of the surface of the water which resembles that of hair, and has two motions, of which one goes on with the flow of the surface, the other forms the lines of eddies”. Here Leonard has anticipated the partitioning of effects described above, with eddies playing the role of deviations, and also a wonderful analogy between the alignment of hairs and the streamlines in a fluid. We shall use this idea to understand how randomness determines the energy of a bundle of hair.